One can therefore speak of luck that the fire dance has been adopted and the light bulb with flame effect promises to satisfy the burning need. The cylindrical shape should provide enough surface area for the flickering of the many lights inside the light bulb to come out optimally. 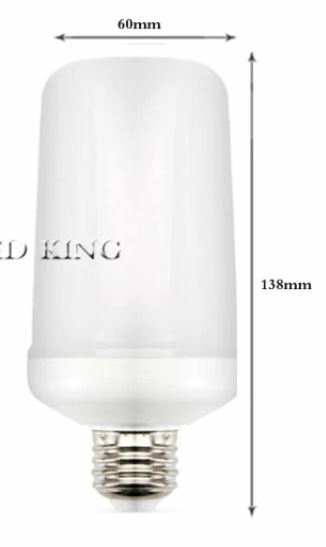 With dimensions of 13.8 * 6 cm and a lamp base of type E27, the light bulb also corresponds to the most common socket and is therefore suitable for both outdoor and indoor use, if the lamp at the place of use supports this. 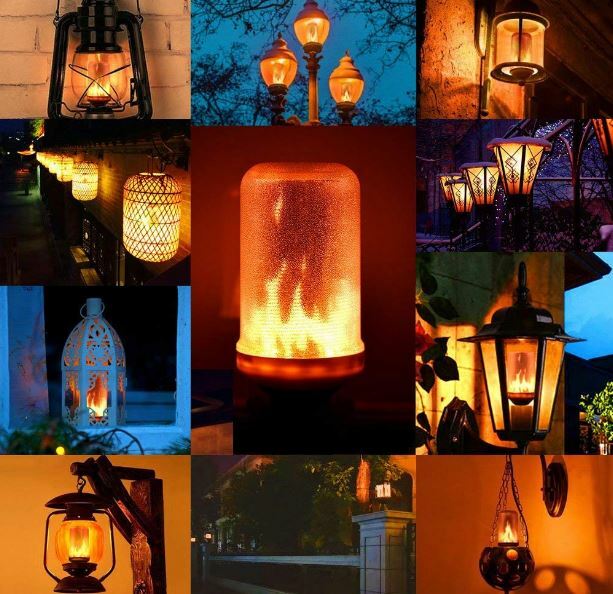 Due to its voltage of 220V and a power consumption of 3W, the China gadget can even be described as an energy-saving lamp, which also benefits your wallet and a more extensive flickering in the background does not have such a hard time. 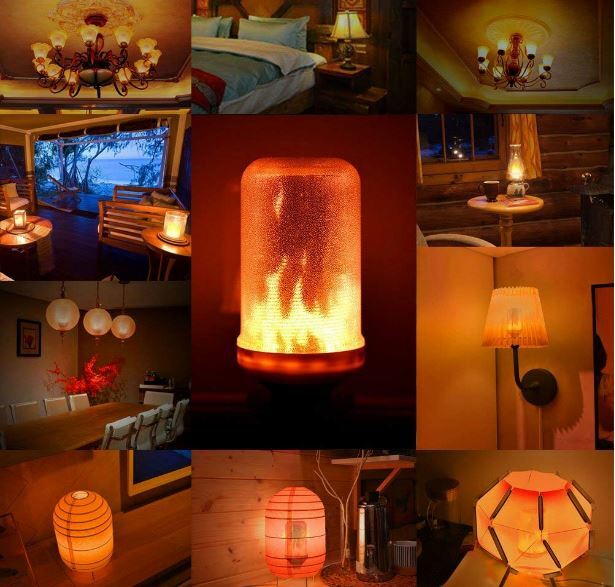 But if you should not like this effect any more, you can switch between the flame effect and the conventional version of a light bulb. This means that it does not have to be replaced when the occasion for use is over! All types of light bulbs should always be handled with caution, but the flame effect light bulb does not appear more fragile than ordinary bulbs. At $9.98 each, it is relatively cheap to buy via Amazon. You get a quantity discount if you order two or more, but it is rather small. Fortunately, there are similar models, for example AliExpress, already around $4. If you want to bring your home up to the level of 2018 and turn it into a smart home, the Xiaomi Yeelight smart LED light offers a good introduction. 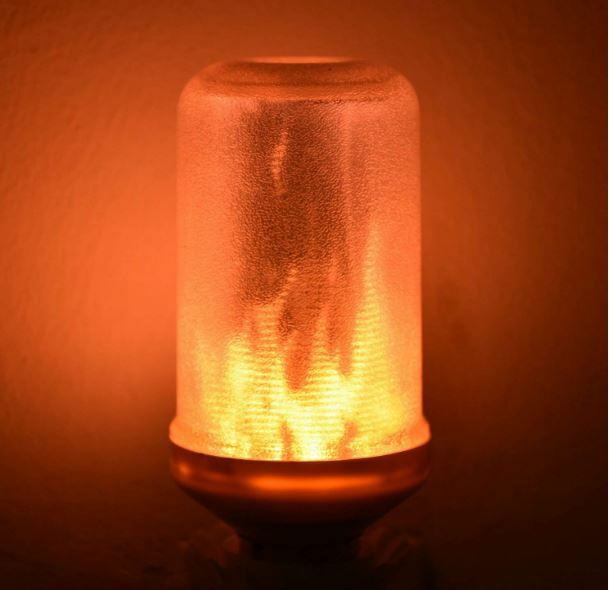 What do you think of the blazing alternative to the quiet glow of a conventional light bulb? Worth a purchase?